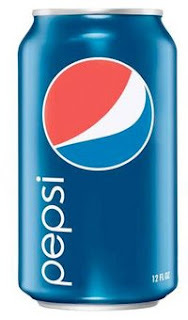 Perhaps you’ve seen or read about the brand new Pepsi logo and can design. I must say, it looks very nice — quite modern and minimalist, almost like something you’d see in a sci-fi movie set in the “not-too-distant future” (although the slightly different logos for each type of Pepsi might be a bit too much). Chances are, not very many. Seriously now, when a company as large and established as Pepsi does this, it seems like it’s just change for the sake of change. Take the time and money and effort you’d put into an expensive logo and put them into creating a product and experience and story that people remember instead. Good advice. While a strong logo and powerful brand elements are very important to a company’s marketing — especially for a new business trying to establish itself (and last time I checked, that doesn’t describe Pepsi) — in the end, it’s the product and service experience that must be conveyed above everything else. Marketing is about all of the visual and emotional elements working together in unison to create a cohesive brand — something a mere logo update can’t accomplish on its own.